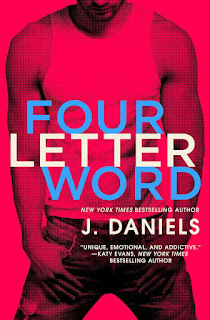 I love J. Daniel’s books and I was super excited to start Four Letter Word. 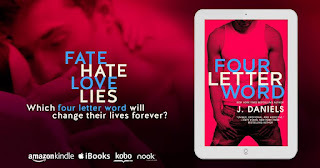 Before I go any further I need to note that I have been in one of the worst book slumps ever so please keep that in mind while reading this review because I think that played a huge role in my thoughts. 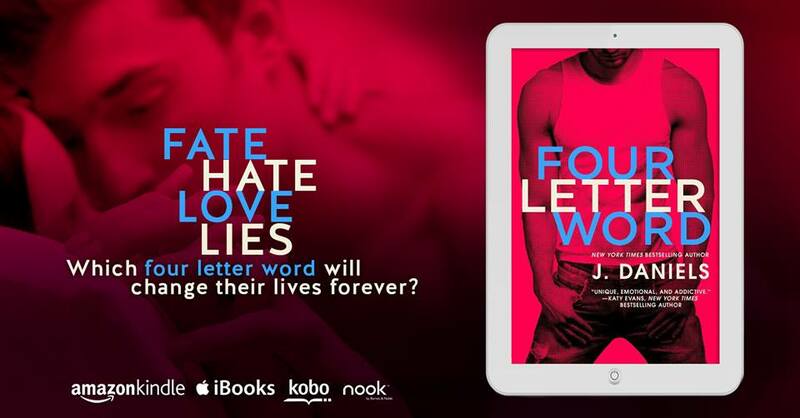 I liked Four Letter Word, would I recommend it for others to read, yes I would, but I didn’t love it. Now I plan to read it again once this funk I am in is fully worked it’s way out of my system. It took me a while to really get into it, I don’t know if it was my mood or if it was the book but I almost set it aside, almost. Sydney wasn’t a favorite character for me, and while she did grow on me to like her there was just something about her that didn’t click. Brian, though, he absolutely owns my heart, I felt for him, I loved him, I wanted happiness for him, well both of them to be honest. 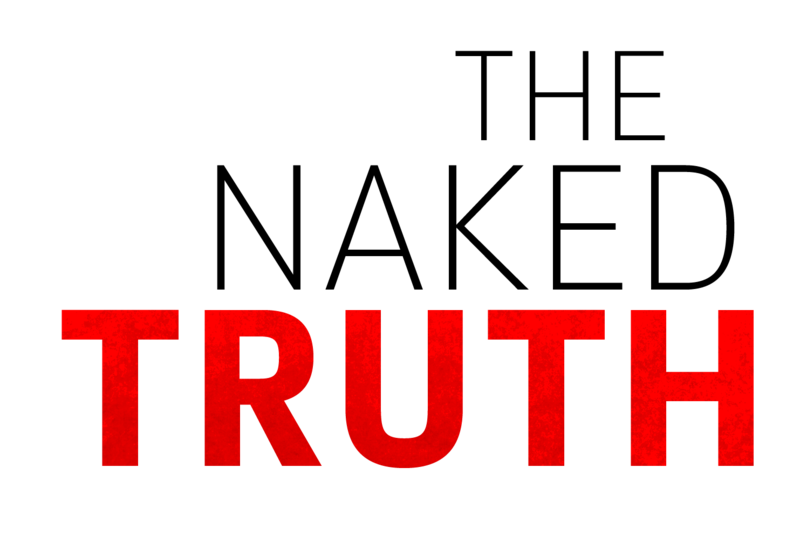 The emotions, the anticipation, the angst worked well and made that build up even more intense. Please take what I said with a grain of salt, I know my mood most likely impacted my thoughts and feelings for Four Letter Word, and while I am not screaming it’s praises, I did overall like it enough that I plan to not only try it again but will update this review and rating if it changes. I am looking forward to the next book though, I am curious to see how it’s going to play out.